1 cuts off of screen of 5. 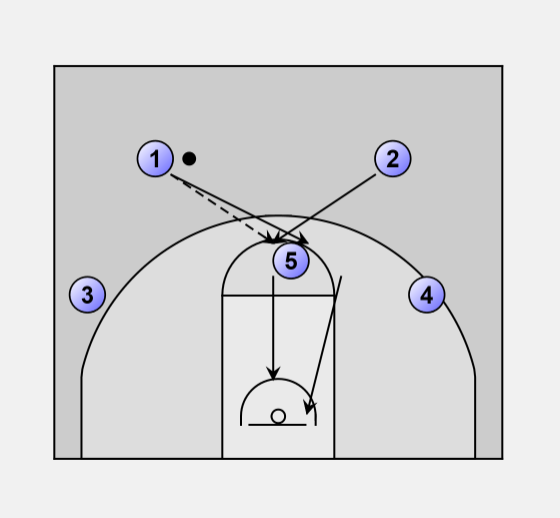 5 Hand-off to 1 for layup or baby jumper. 1 goes off of 5's screen. 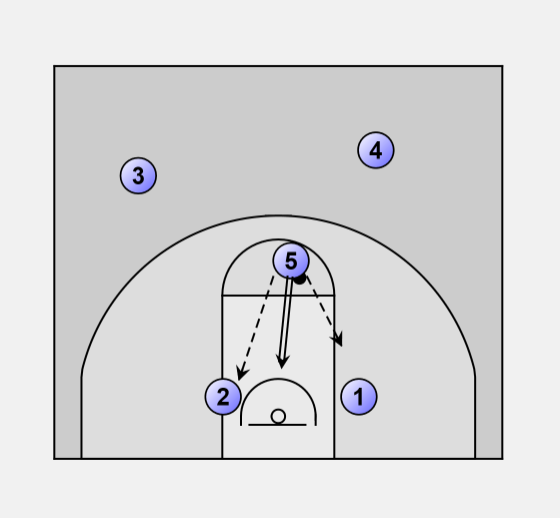 2 then goes around 5 and take hand-off from 5 for layup or baby jumper. 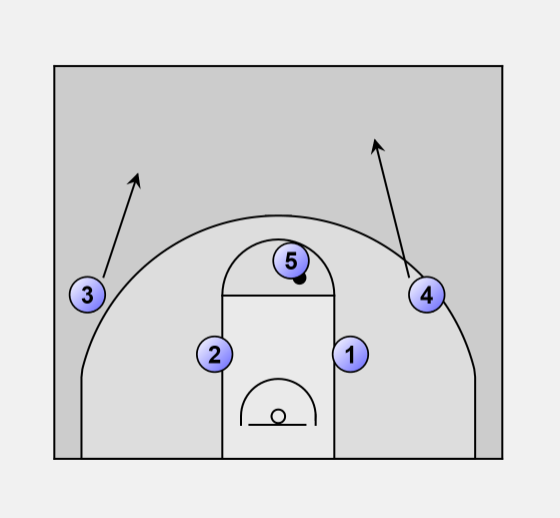 5 can bounce pass to 1 or 2 or 5 can shoot a baby jumper.